Give us a call if you are looking for reputable and excellent accommodations near and that offer Port Everglades Shuttles! 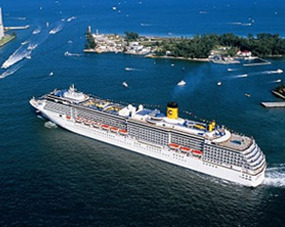 We are the ideal for cruise-goers because we have a multitude of great accommodations and services designed just for you! 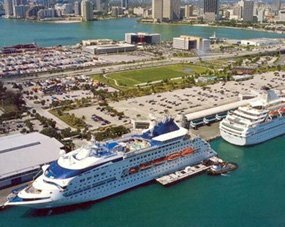 Our transportation services include shuttle services, and we even provide drop offs and pick ups to Port Everglades and the other local ports, whereas many hotels either charge substantial fees for or do not provide at all. 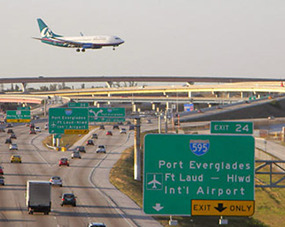 With us, not only do you obtain shuttle services but you will be within minutes of Port Everglades and the other local cruise ports, but we make your travel to and from them easy and hassle-free! We are centrally and conveniently located between Miami and Fort Lauderdale, so we are perfectly placed for your next cruise vacation! We are hands down one of the best hotels near Port Everglades with shuttles and you will definitely get the most and the best for your money with our phenomenal rates and special packages, but remember to always book directly to get the lowest prices! We are dedicated to always providing you with nothing but the highest quality service with a vast range of impressive accommodations and amenities and our friendly and proficient staff will do all they can to make and keep you as comfortable as possible at all times! We have non-smoking rooms available, we are pet friendly, and you will surely love our lush new tropical landscaping and newly renovated rooms. 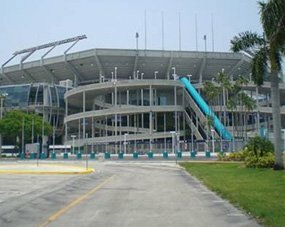 You will never lack options for entertainment or attractions because we are surrounded by countless fun and exciting venues and popular tourist attractions, such as: Jungle Island, Zoo Miami, The Broward Convention Center, the Greater Fort Lauderdale Area, Las Olas, parks, museums, and more!